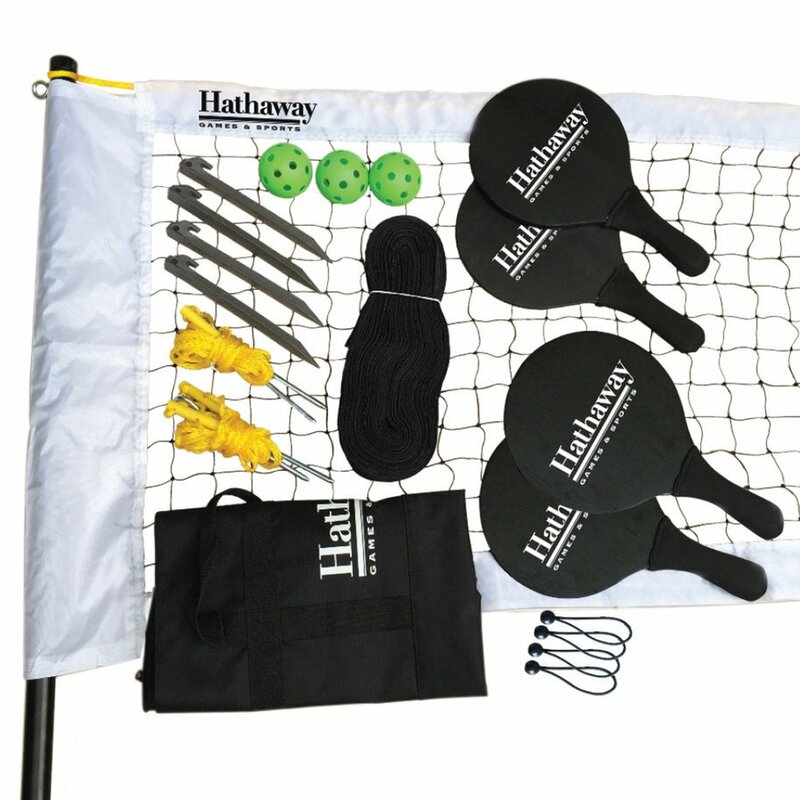 The Hathaway Multi-Court Pickleball/Paddleball Set combines two of the most popular outdoor games into one affordable value packed set. 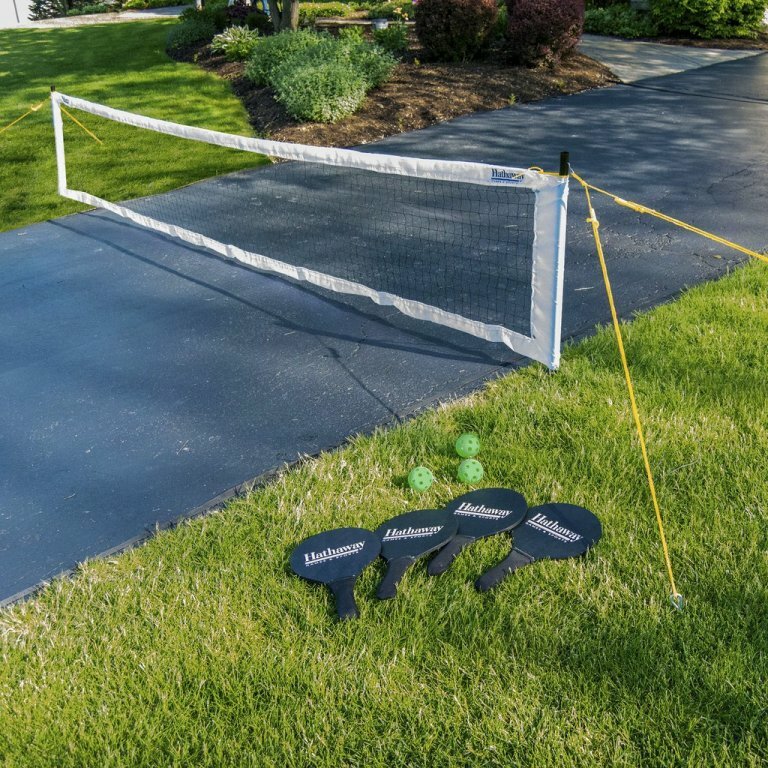 This portable, multi-functional set is ideal for any active family looking to have competitive fun in the great outdoors. 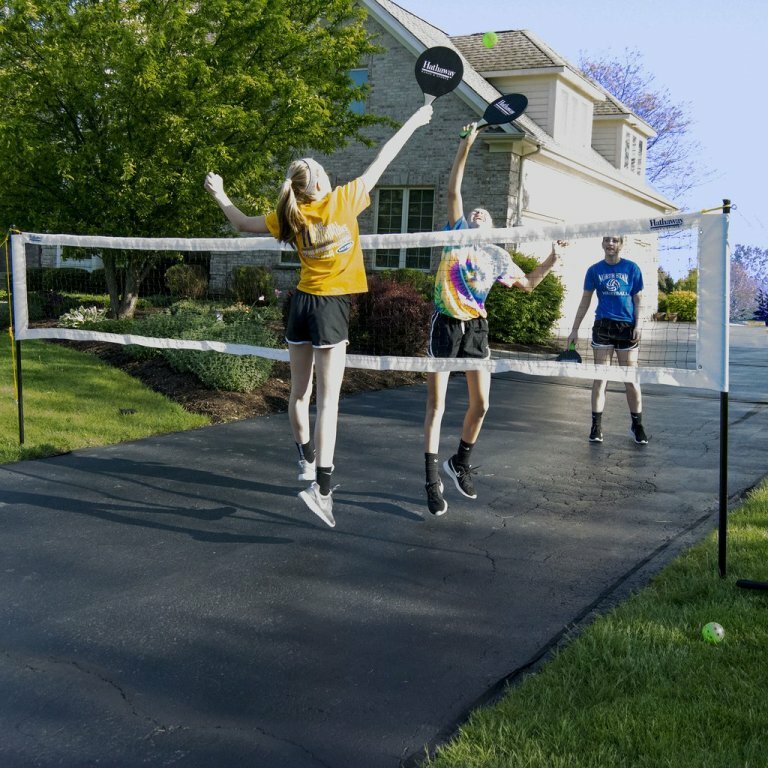 The 2-piece telescopic steel posts, guy line and steel stakes allow easy set up for the "over the net" paddle ball game in virtually any grass or beach setting. 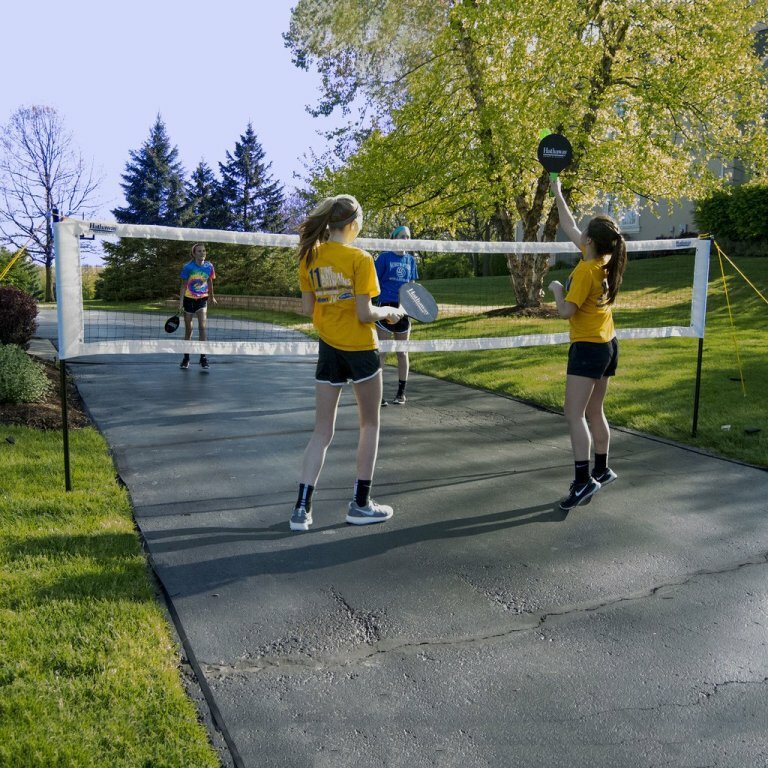 The lightweight, durable net with grommets is easily secured to either the steel posts or any nearby structures. This set includes a rip-resistant nylon carrying case with handles, durable powder-coated steel posts, heavy duty Black mesh net with brass grommets, and top quality playing accessories. You'll be ready to start a game in minutes, and ready to have fun right away!